Success comes not from great ideas, but from those which are implemented. This is perhaps one of the few absolute truths that apply in today’s market place. There is truly and absolutely no value in ideas unless they are implemented. That’s why it’s imperative for organizations to streamline their ideation-to-implementation processes. Many organizations have realized the value of using idea management software to achieve this. Even though it’s management’s responsibility to lay down the processes that will foster a culture where individuals will openly communicate their ideas, the tools they select to facilitate and guarantee the process transparency can vary by a wide range. At first glance, idea management software sounds like a tool, which regardless of the version or vendor you choose, will accomplish the same result. This is not the case. 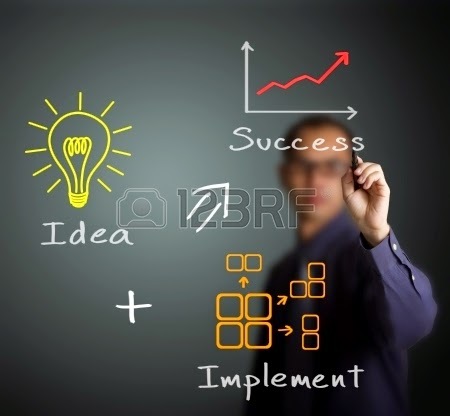 Unlike word processors or spreadsheet programs, which all act, feel, and accomplish the same or similar results, Idea Management software has to address many factors that span psychology, corporate culture, markets, business goals, and if implemented correctly should become part of an organization’s fabric. Although many vendors have developed inexpensive ‘quick-implement’ solutions, experts agree that a truly successful Idea Management Software implementation requires the ability to be customized. Not having the optimized submission forms, not having the right workflow, not having the right evaluation forms, not having optimized reports to show transparency, and not having the right reward concept can all lead to a system that does not maximize the opportunities found in an organization’s collective idea pool. When IM software is tailored to an organization’s needs, they benefit from a system that matches their culture, addresses their goals, and stands a very good change of blending and becoming part of the organization’s daily activities. When this happens, the foundation is set for success in the ideation-to-implementation process. Posted on Friday, September 25, 2009 by George R.